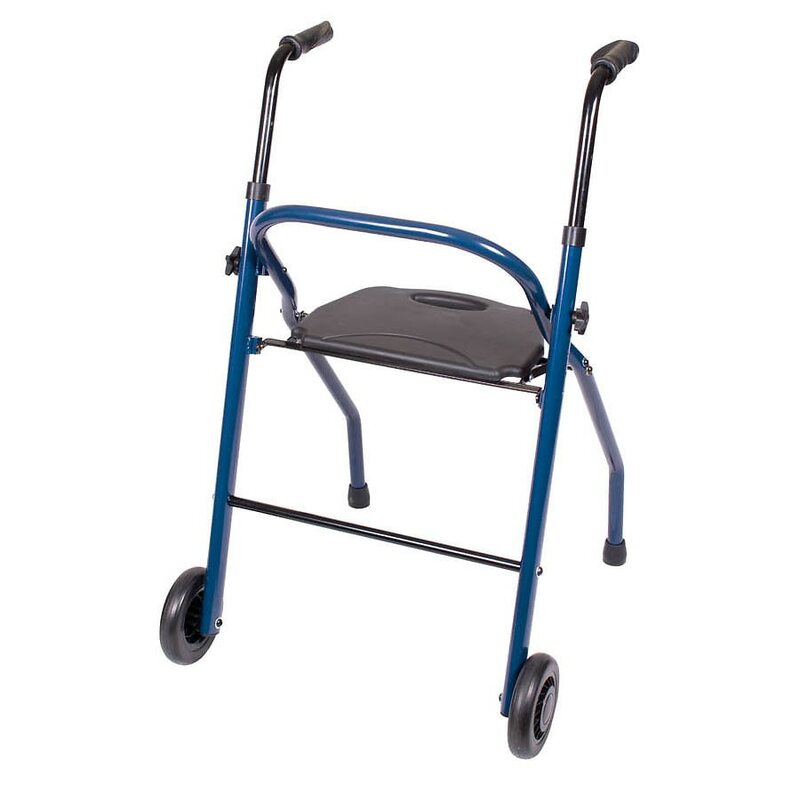 The Carex Two Wheeled Walker is the perfect blend of a lightweight walker with a convenient seat & backrest. Oversized 6” front wheels make it easy to get around. The Auto Glide rear tips double as a brake when pressed down. Simply lift the seat to quickly fold for transport.